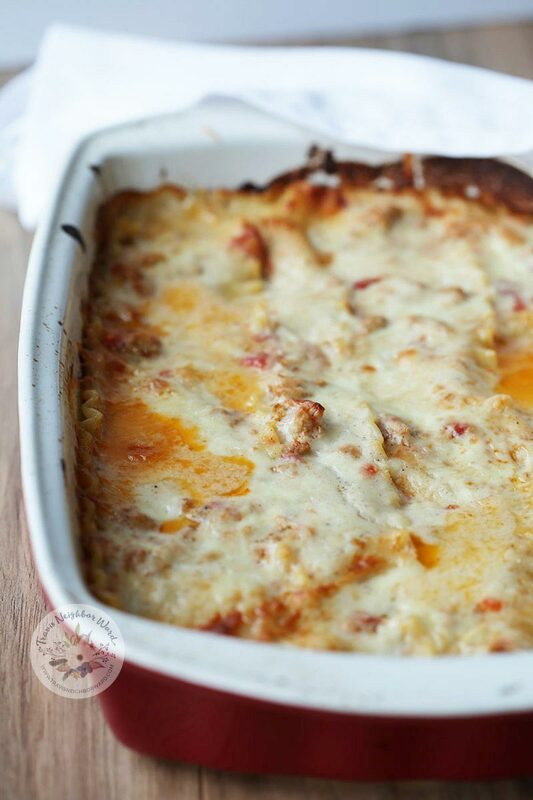 When I first had lasagna in Florence, Italy, I couldn’t believe the taste. It was nothing like the lasagna my mother used to make. Her lasagna was great, but on the heavy side. 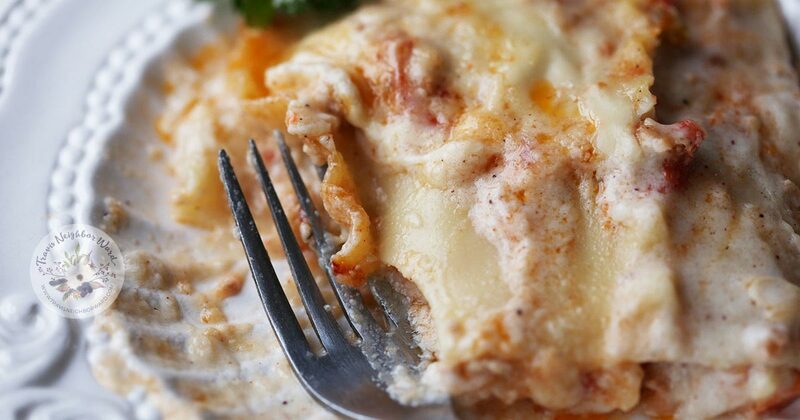 The Tuscan lasagna was light and creamy — and that’s exactly what this traditional lasagna recipe is, too. 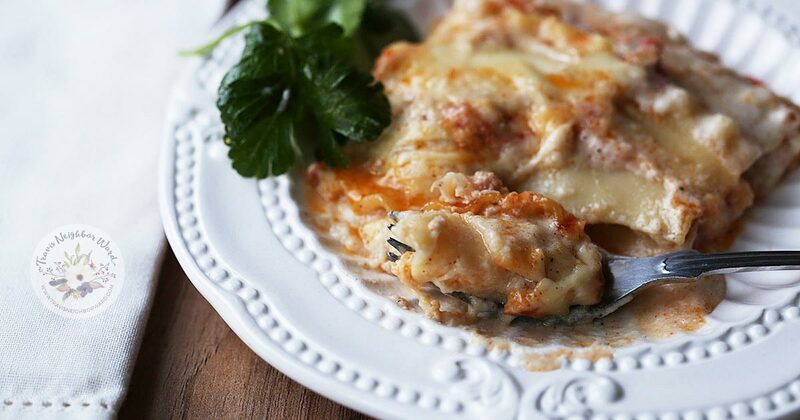 The key to this recipe is that it contains no ricotta, but rather homemade bechamel sauce. The traditional version has a ragu sauce made from ground beef, veal, and pork — three ingredients that I have substituted here with ground turkey to keep it lighter. But, the secret ingredient that really took me by surprise in Italy was nutmeg, which is in the bechamel sauce. And while I know that adding it might sound strange if you’re used to lasagna like my Mom’s, trust me that this spice makes it taste absolutely delicious. I prefer using lasagna noodles that you have to boil, instead of no-boil lasagna noodles. The pasta sheets are longer and have a ruffled edge, which I think makes it prettier than the no-cook lasagna pasta. It takes more effort because you have to boil the noodles before you assemble the lasagna, but it has a stronger pasta taste. If you’re in a pinch for time, don’t worry: The no-bake noodles also turn out tasty. Cook the ragu sauce. To make it easier, do this a day or two before you cook the lasagna so it’s ready when you need it. Make the béchamel sauce, then set aside for at least 10 minutes so it can cool a bit and thicken. When the noodles are cooked, drain the water and keep them in the strainer for now. In a large rectangular baking pan, add 1/3 of the ragu sauce and 1/3 of the bechamel sauce, and spread evenly over the bottom. Cover the sauce layer with a layer of noddles, overlapping the sides by about 1/4 inch. This will require using 3 or 4 noodles, depending on the width of your pan. Add 1/3 of the ragu, 1/3 of the béchamel, and 1/2 of the mozzarella and parmesan cheese. On top of the last layer, add the remaining ingredients. Remove from the oven and let sit for 5-10 minutes before you slice it.